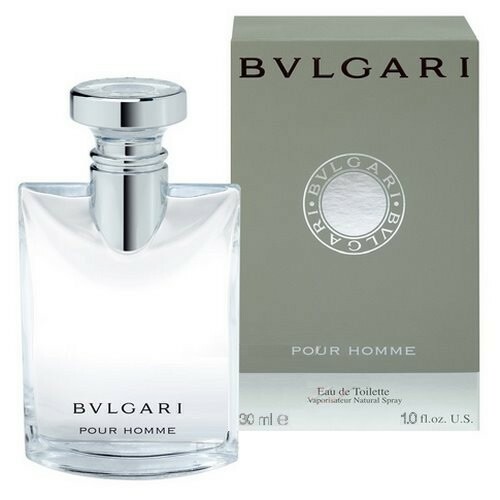 Bvlgari Pour Homme is elegant, comfortable and refreshing designed for men. Bvlgari Pour Homme EDT 100 ml. - Launched by Bvlgari in 1995. Perfume for men classic and current, Bulgari pour Homme is a comfortable and refreshing fragrance, created for the man who wants a perfume that enhances the personality. The minimalist design and simple bottle communicates luxury, prestige and masculine elegance. To stay true to its history brand reputation elitist and refined, Bulgari had to propose a masculine fragrance in the vein of Italian chic, stylish, sleek and quality. Hence the pure simplicity of the packaging and discreet tone of a sophisticated fragrance built around the note of the Darjeeling. Olfactory, Bulgari has started a current olfactory from the Anglo-Saxon connotation, based on the and with a strong taste, in a more modern interpretation, the cold spices. A description of the original agreement Darjeeling, spicy pepper and cardamom, over a background fairly warm, amber and musk. BVLGARI is a refreshing, oriental, woody fragrance. It has a blend of rosewood, pepper, musk and tea. Accompanied by water and spicy notes. It is recommended for daytime wear. Bvlgari Pour Homme is a classic fragrance, floral-woody, with a modern twist. At first you feel a delicate combination of bergamot, lavender and mandarin. Later agreements Darjeeling feel that adds a spark of subtle spices. All these shades are accompanied by pink and nutmeg. Finally, it sets the traditional smell of cedar wood, amber, tonka bean and oak moss, whose combination gives a sense of strength and determination. The fragrance, Bvlgari Pour Homme, you can enjoy a strong smell of flowers, woody and best spices.